Dabbawala Ads at best rates across India. SmartAds.in is E-commerce Portal for Media Buying and Advertising need. Its aim is to bridge a gap between Media Owners and Advertisers. In this we have covered 6815 K+ Advertising Options which includes both Offline and Online Media. SmartAds.in doesn’t charge any Registration fees to Advertisers and Media Owners. Now you can book your Ad from your own comfort. No need for any Physical visit to Media owners as well as to advertisers. Just select your preferred Media option which is listed on SmartAds.in along with Advertising Type, Audience Reach and Budget. That’s it ! Compare 5500+ Non Traditional Media options across India. Non Traditional advertising is most result driven advertising. Book your ad now on SmartAds.in !! 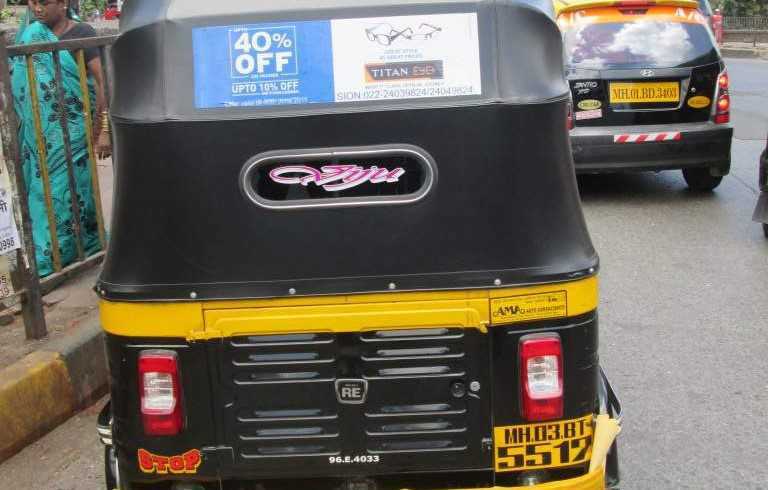 Auto Rickshaw Is Best Way To Promote Your Brand/service. Just Compare & Select Best Rates In Your Budget For Your Location. Click Now ! !